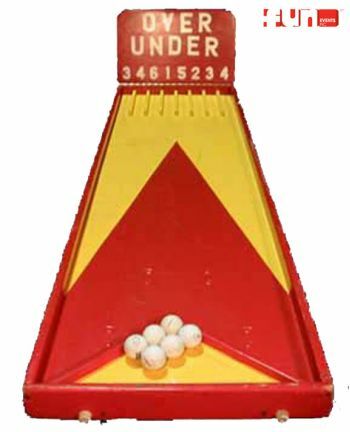 Your guest receives six balls to roll down the game board into numbered slots. A score total under eleven or over thirty wins! For all ages. A cool game rental party idea for any special event, birthday party, church festival or fund raisers.